Move over, kale. There’s a new Superfood Superstar that has, until now, been relegated to being roasted, steamed, smother with cheese, or made into a creamed soup. But cauliflower is a wallflower no more, and is catching the wave of popularity because of its newly discovered adaptability to favorites like pizza! 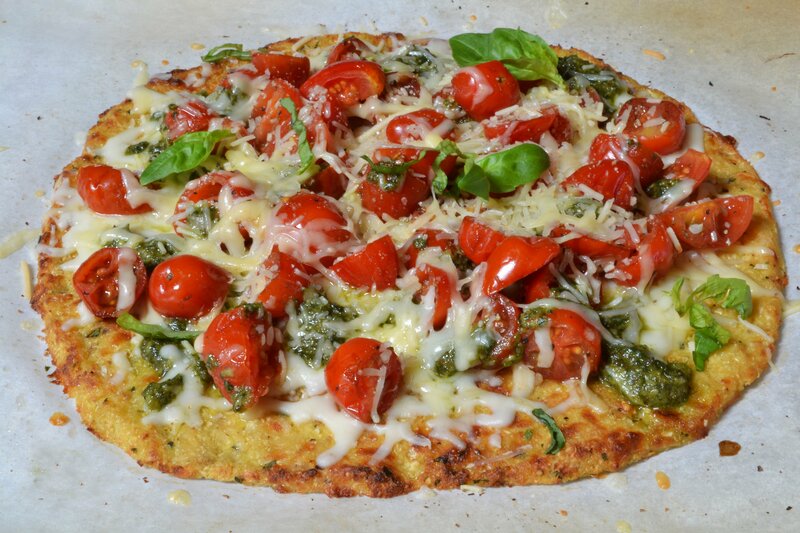 In fact, cauliflower pizza crust has put it on the map for a whole new generation to enjoy. Add your favorite toppings to the crust or try this unique butternut squash recipe! Preheat the oven to 450ºF. Wash and dry the head of cauliflower. Cut off the florets and discard all stems. In a food processor or with a cheese grater, "rice" the florets to a fine, powdery consistency. In a microwave-safe bowl, microwave the cauliflower for about 4 minutes, until steamed. Spread the cauliflower on the cheese cloth or clean kitchen towel. When cooled, wrap up the cloth and wring out the liquid from the cauliflower (wring out as much as you can - this is an important step to make sure the crust is crisp and not soggy). In a bowl, combine the cauliflower, parmesan, mozzarella, egg, basil, garlic powder, salt, pepper, red pepper flakes, and optional flour. Mix thoroughly with a spoon or by hand. Place the parchment paper on 2 baking sheets and brush with olive oil. Form two 9" crusts, placing each on separate baking sheets (use pizza pans or pizza stone if available). Bake for approximately 15 minutes, or until golden-brown. Remove from the oven. Add toppings of choice and return to the oven for another 5-6 minutes, or until the toppings are cooked and bubbly. Slice the pizza into wedges and serve. Bake the cauliflower crusts for 15 minutes, or until golden-brown. Meanwhile, carefully remove the hard skin from the butternut squash and cut in ½" cubes. Over medium heat, sauté the onion in olive oil. Stir occasionally for about 10 minutes, until the onions are golden and have softened. Add the squash, salt, and honey and cook for 5-7 minutes, stirring gently until the squash is cooked but still slightly firm. Spoon the pesto sauce onto the crusts, then layer with the squash and finish with the cheeses. Place under the broiler for 2-3 minutes, until the cheese has melted.